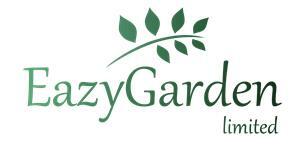 Eazy Garden Limited - Garden Services, Landscaper based in Ferndown, Dorset. We were founded in 2013 by our Company Director Thomas Clark who has a wealth of experience in the horticultural industry. Over the years, we have established ourselves as one of the leading companies in the industry with the one mission of providing unparalleled customer service. We were originally built on providing grounds maintenance to both the private and commercial sectors but due to our success we now also provide bespoke landscaping services, invasive weed control, winter gritting and our newest department interiorscapes which is for all your interior landscapes solutions whether you are a private or commercial client. With this continued growth and success we now cover Dorset, Hampshire and Wiltshire with a diverse range of clients. We also take the environment and health and safety very seriously which is why our accreditation with SMAS is very important to us and our clients. Also regards the environment if you want to know how serious we are in looking after it please have a look at our page Our Carbon Plan in which we explain how we are becoming more green and looking after our landscape for our future generations. We also value client retention more than anything as this is what we believe builds a successful business which is why we joined Checkatrade so if you want to know what our clients think of us please check out our Checkatrade feedback and I’m sure you will agree we are doing something right. We are also very keen to involve ourselves with our surrounding community which is why we sponsor Ferndown in bloom and have very close ties with The Fletcher Foundation. If you would like to know more about this then please visit our in the community section. So if you are looking for a horticultural service then please look no further and have a look at what we can offer you. We hope to hear from you real soon.